In-store mobile payments will increase by more than 1,000% worldwide this year with 5% of the world’s smartphones being used to make a payment in a store at least once a month, up from under 0.5% in mid-2014, according to the new edition of Deloitte’s annual Technology, Media & Telecommunications (TMT) Predictions report. 2015 will be the “first year in which the multiple prerequisites for mainstream adoption — satisfying financial institutions, merchants, consumers and device vendors — have been sufficiently addressed”, the authors conclude. “Looking further ahead, Deloitte expects the number of NFC-enabled devices being used for making in-store payment should rise steadily over the medium term as consumers become more familiar with the process and more banks and merchants in more markets accept this form of transaction,” the report adds. “We expect the volume of NFC smartphone transactions and the range of spend value to increase steadily over time. We expect the largest card issuers in the majority of the largest developed countries to have activated NFC smartphone payments by end 2015. 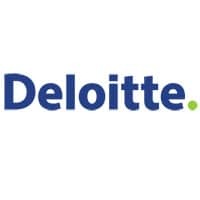 “The existence of hundreds of millions of contactless credit and debit cards should not constrain the usage of NFC-enabled smartphones as an additional means of payment,” Deloitte continues. “We would expect that when offered a choice, about 30 million individuals may opt to pay using their phone instead of a contactless card.